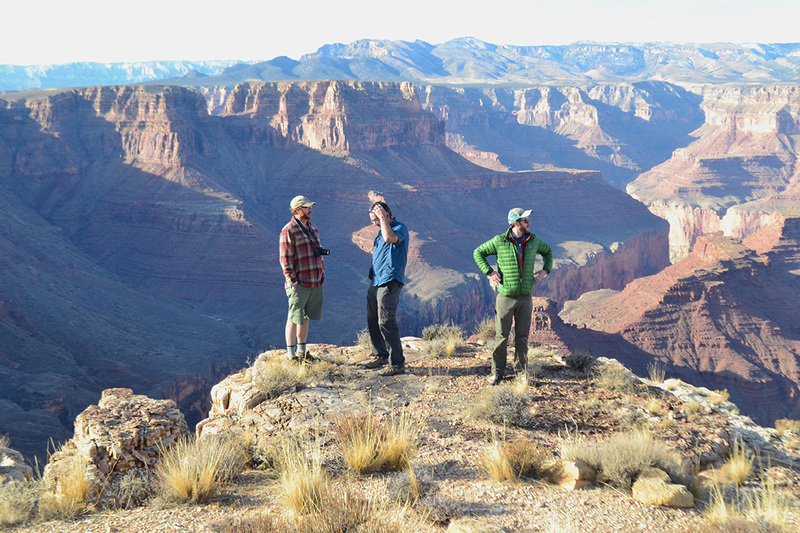 A bespoke tour of the Grand Canyon's seldom-seen East Rim leads to a new perspective. In the twilight of the early dawn, the crisp spring air is met with eager curiosity about the rarely seen undisturbed lands east of the Grand Canyon. Franklin and Anna Martin, owners of the Sacred Edge Tours, speak about forgotten memories of ancient souls and travelers now at peace and of those who found refuge in the grand plateau. Their stories set the visual tone for the journey into the forgotten world of the sacred edge of the East Rim. Franklin and his wife Anna, the stewards of the sacred gateway, currently uphold the patrimonial duty assigned to the Martin family for as long as the first people emerged from the Grand Canyon. Franklin remembers each story told to him by his father and his father before him. A lineage he is determined to preserve and a legacy that he knows has to be shared with the world before it is tread upon by trail seekers or elite tour development. The Martins have elected to give private tours of their homeland in hopes people who take the Sacred Edge Tour will come to know the importance of preserving the land. ‘You take out what you bring in and you leave what you find.’ is the motto taught to guests as the proper way to show respect for the place where spiritual energy is left with every footprint. On the drive through the Navajo reservation, Franklin tells a history of a man called Czhuczhu who helped the Diné find several biligáana outlaws hiding in the Naáh-tsaáni (Marble Canyon) before a band of soldiers came to hunt them. As the story unfolds, Franklin reveals the true name of the warrior who lived as a Diné as none other than the great Apache warrior, Geronimo. Czhuczhu knew the importance of the people’s need for protection and how to use the land to preserve their way of life. Chzuchzu knew the area leading up to the East Rim was a fortress in disguise and the land beyond made the best hide-away. Franklin weaves a tapestry of history about the land and how some families survived the Long Walk, also known as the Bosque Redondo Trail, as the history was told to him. Many found their salvation in the cliffs or caves of the Naáh-tsaáni (Marble Canyon) and Tsá kaán (Echo Cliffs) when the soldiers came to collect them. These families remained hidden there until the Navajo were given the reservation where they now live. Franklin goes on to give a brief lesson of the effects of the Bennett Freeze and treaties stemming from the Bosque Redondo Trail that defined the boundaries of his family’s land. He adds the Bureau of Indian Affairs again sent for the Navajo children to attend boarding schools in the early 1900’s and many families hid once again but this last time not everybody was able to stay hidden for long. Contemporary means to provide income were eventually adopted by the surviving families and the Martin family became cattle ranchers. His vivid recollections of having to work hard at a young age provides a connection to modern families from all corners of the earth and a friendship starts to form with the Martins as it becomes easy to relate to their struggles. The drive to the Gap is filled with more stories about other tribes such as the Hopi, the Paiute, and the Comanche, which unbeknownst to Franklin, are remarkably close to the truth. Franklin gives details of migrations and homage paid to the tribe’s ancestors who found eternal peace in the sacred canyons. In every language of the tribes, the name given by them calls the area of the Grand Canyon ‘Home’. Soon, the first rays of the sun start to light up the sky and the Junction to Highway 89 is just below the pass. The sheer face of the Echo Cliffs reach up from the land as the golden sunrise spills over red desert megalith. The tour travels onto Highway 89 and then an unexpected turn takes a dirt road that ascends a small slope, a sort of curtain, hiding what is to come. Once over the slope, Coyote Hill becomes visible in the soft rays of the sunrise. A place justly named as the Trickster lends a false sense the land is barren and lonely beyond the butte. The land at this gateway is drought ridden and stout shrubs cling to every morsel of rain. Wild horses still dare to travel the land surrounding the Hill and you’re reminded it is a literal graveyard for them upon seeing a full equine skeleton near the road. As the tour travels on, the dawn meets its zenith over the high plateaus of the Anasazi Bend. The Little Colorado meanders around the curve driving the Colorado River deeper into the Grand Canyon. Marble Canyon’s escarpment becomes a bright red hum of sienna that cascades down onto the Little Colorado and you’re awakened to the entirety of what you’re seeing. The mind becomes a sponge trying to absorb every detail. The perch over the sheer canyon walls reach farther past it defying gravity and creates perfect opportunities to take beautiful photos for the mantle. The Martins give the guests a moment to calm the riot of wonder happening for the first time and patiently wait to move on. The road travels farther on to become a mere flat rock descending into a sandstone wash on top the plateau near the precipice of the East Rim. Anna stops to show people the fossils left behind from different eras challenging you to name the animal that it was made from. The correct answers are yet to be determined. A hidden family hogaán becomes visible and Franklin starts to remember growing up there. The hogaán is made out of cedar poles and pinewood sealed in with red sand and clay mortar forcing more questions about the source of the wood when there are no trees for miles, making this particular hogaán unique to the land. (Most hogaáns were made of stones to prevent cattle from scratching on it and knocking it over or wildlife entering which explains the location.) The stillness of the once lively home site is sad but so well preserved that life is still welcome. The next two sites provide different angles of Anasazi Bend and opens up the Grand Canyon farther to the east. As you stare into the geological wonder at the North End of the Big Edge, the spirits of the Old Ones begin to introduce themselves. Soon, where rocks break away from the canyon walls, the shapes of people or faces start to become distinct. The rocks have frozen the shapes in various degrees of movement and for a moment you smile as you start to amuse yourself by guessing the shapes or its frozen activity. You’re reminded of the scale and realize the how small a human is in comparison to the giant figurines of stone. The majestic beauty of the forbidden land takes hold of you. The desire to travel farther in forces you to sit up straight to absorb every detail as the SUV drives on. The mind will drift into meditation and a calm of the soul will find its center as the endless evolution plays out before your eyes. For so many tourists, the tour becomes a pilgrimage and offerings are appropriate with respect to the land. So many have tried to tour the area alone, without permission and leave carbon footprints that scars the sacred land. This is the main reason the Martins decided to take the step into private tours. The journey then moves forward in 4-wheel drive on the road onto the pier for lunch. Unforgivable fire pits along the way reveal to their guest the importance of small private tours. The road becomes very rough. Large sections of it are simply impassable to regular passenger cars. But we ride over the rough terrain in comfort the the roomy SUV. The welcome break for lunch is a delicious homemade meal of healthy traditional style sandwiches and the pier takes you to a spot where you can overlook an ancient Anasazi Bridge to see the breath-taking view while you enjoy the food. The Anasazi Bridge could only be seen with high-powered binoculars that the Martins set up at the cliff’s edge for us to use. The natural, water carved caverns of Anasazi Bend were occupied by the first pueblo people who migrated and settled within the Grand Canyon. They chose the area for the security and abundance of water for farming the lush fertile land. Food storage and hiding rooms were walled off to blend into the walls of the Bend. The Anasazi’s reasons for leaving are lost to history but their stamp on existence remains. Franklin continues the history of the land and of the elitist plans many tried to carry out with each new President. The largest scale plan being the Marble Canyon Dam that was supposed to accomplish what the Glen Canyon Dam did. Politics and land management have tried to work hand in hand to develop the land many times over but they found it impossible because of the dangerous terrain. But if you’re knowledgeable of biomes and animal behavior then you’ll discover the failed experiments to develop the Marble Canyon was a blessing and the land will remain sacred to every living human. 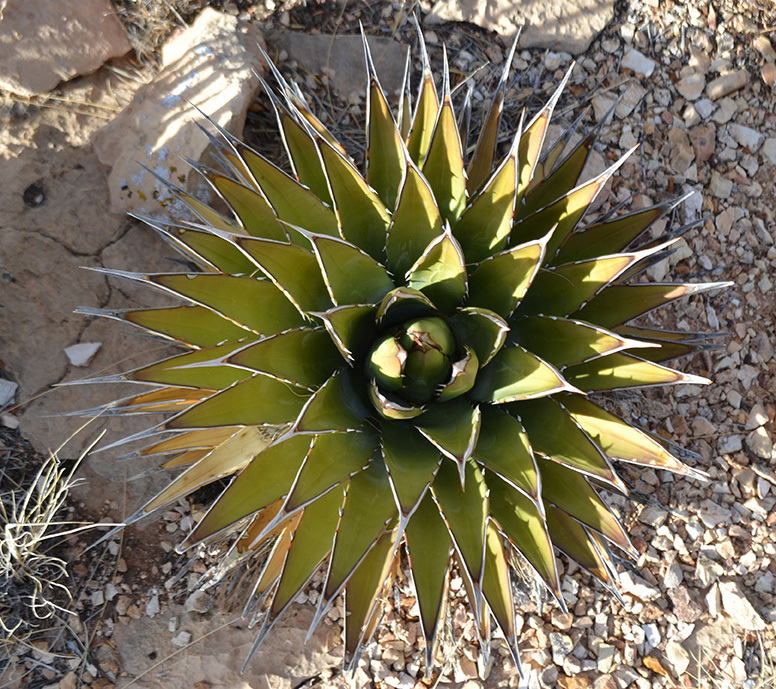 Sacred because to the educated eye one will see several forms of endangered plants growing wild, fossils of undocumented species and ecological miracles of thriving animal populations thought to no longer reside in the area. The animal population is unafraid of guests because they are no longer hunted indiscriminately. After twelve sites already visited it was time to find the main dirt road. As it merged into leveled ground, off in the distance more SUV’s drove along the other side of the plain. A modern day posse was tracking our journey in case we had entered their family’s homeland without Franklin and Anna. Knowing security measures were in place for the guests put the group at ease as we traveled the next several miles towards the Confluence of the Colorado River. Like the popular belief states: Life happens when you’re busy making plans. Same could be said for a scheduled tour: surprises could, and did drop into our plans, which can turn out to be the most memorable moment for everybody. So, just as the conversation turned to the horse population and how elk roamed freely in the area, Anna tells everybody to hold on. The SUV lurched forward towards the plain where Anna spotted a very large elk bull with his harem of five cows. The straight-a-way road led the group right up to the elk and they did not readily run away until the SUV slowed but it was enough to catch the anomaly on film. As though on cue, a large herd of wild horses, led by a big stallion, and his fillies and colts ran alongside the vehicle for almost half a mile. The little colts seemed to enjoy the run and allowed an up close photo of their family. The sun begins its descent and landmarks of Diné history are pointed out as we drive past the stone hogaáns that also served as camouflage. As the tour comes to a close Franklin shows the group a lonely cedar tree where a young girl tried to outrun the Bosque Redondo Trail soldiers, a famous story among the families still living above East Rim of the Grand Canyon. As the vehicle drives past the only tree for miles, ghostly images imprinted on the land start to replay the story and you understand why it will never be forgotten. Many will shake off the scene as fatigue because the tour has reached its finale. 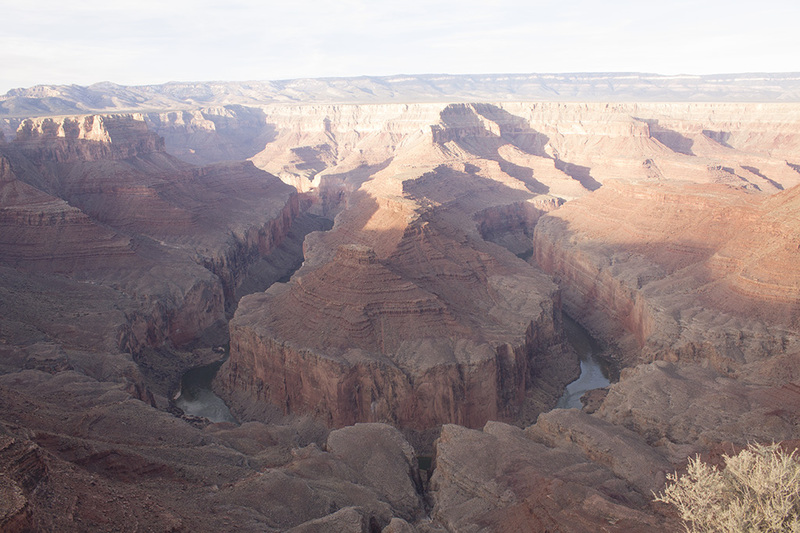 The excitement of the day peaked with the grandest sight of the East Rim, the Confluence. Here at the See All Buttes View, one can witness an earthen marriage of the feminine turquoise blue waters of the Little Colorado as she finds the masculine dark green waters of the Colorado River. They merge into one, swirling in the colors of red fertile sands like the prophase of meiosis bringing new life with their unified current, and feeding the land they have carved life into. The sight of this miracle invites thought about your place in the world and seeds of poetic inspiration are planted of how to preserve this beautiful land, majestic and untouched by industry. A lake Powell kayak trip leads to an unexpected place.